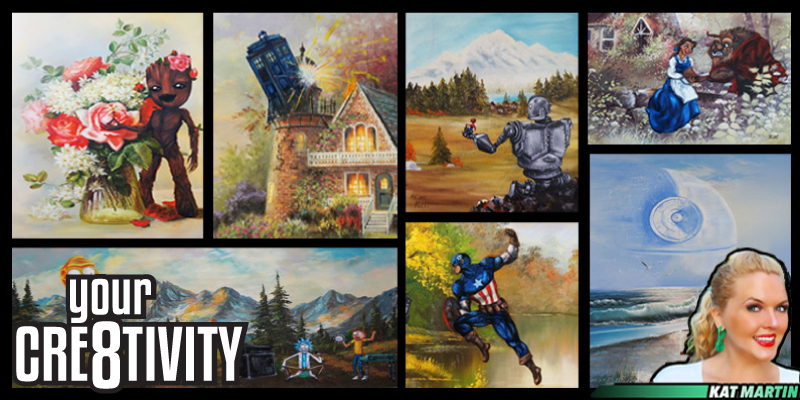 You may have seen KAT MARTIN‘s artwork at the Farmer’s Markets or Salt Lake Comic Con (Now FanX), where she combines thrift store paintings with geeky additions! We learn it’s origin story and what other types of art she works on. The Your Cre8tivity boys sat down with Kat in her home to discuss staying focused, working hard, serving customers and clients, and enjoying what you do! LINKS: Website | Facebook | Twitter | Yelp!